Rain may play spoil sport during the five-day Durga Puja celebrations in Gangetic West Bengal this year with the formation of a cyclonic circulation over North Bay of Bengal. “Light to moderate rain in short spells is liekly on October 8 and 9,” regional Met director G K Das said. “However, a cyclonic circulation has formed near Odisha coast over north Bay of Bengal, which is likely to reach Gangetic West Bengal on October 10,” Das said. “This cyclonic circulation may lead to increase in rainfall in Gangetic West Bengal and also in the northern parts of the state on October 10 and 11,” he said. The festivities have already started in the metropolis and other places as people thronged puja pandals since afternoon with today being Mahashasti, the beginning of the five-day Durga Puja festival. 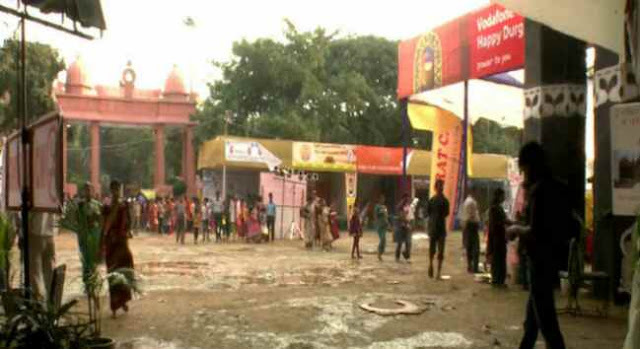 There were sharp showers in different parts of the city in the afternoon, but that could not dampen the spirits of the pandal-hoppers. On Mahasaptami and Mahashtami, there is likelihood of light to moderate rain with a cloudy sky. On Mahanavami and Dashami, which fall on October 10 and 11, rainfall activities are likely to increase owing to the cyclonic circulation.